We know there's a hybrid Lamborghini Aventador successor coming sometime between 2020 and 2022. Due to deleted Instagram posts and fissures in the rumor-verse, we expect a hypercar codenamed LB48H to preview the next electrified V12 Lamborghini. Autocar reports the next model in the Italian carmaker's series of low-volume specials will cost about $2.6 million, making it just another walk in the hypercar park as for price. The weird part is where Road & Track, referencing "a source familiar with Lamborghini's plans," says the LB48H will glow in the dark. The source didn't elaborate, so not even RT knows what that means. The Lamborghini Terzo Millennio concept from 2017 revealed a smattering of Tron-like light sculpture in its launch video. The wheels and engine bay glow, illuminated Italian flag graphics mark the front fenders, LED piping runs down the centerline. But lights don't come under the traditional definition of "glow in the dark." If the LB48H really does sport some kind of overall incandescence, well, we're about to enter a new chapter in hypercars. Other questions remain about how the LB48H will preview the future of Sant' Agata. The company's head of R&D has bemoaned the weight of batteries, admitting that the best-case scenario for the coming series-production hybrid V12 flagship means an additional 330 to 440 pounds. It's thought that the hypercar will use supercapacitors instead of batteries, providing a lightweight solution that would also showcase future technical potential. The all-electric Terzo Millennio employed nascent supercapacitor tech Lamborghini has been developing with MIT. That solution's upside is lighter size and weight compared to batteries, longer service life, a supercapacitor's fast charge and discharge ability, and the fact that it can discharge and recover energy at the same time. The downside is that supercapacitors have low energy density compared to lithium-ion batteries, so it's possible the LB48H could use a battery and a supercapacitor to work a 49-horsepower motor aiding an 789-hp V12. The production V12 is expected to get a more mundane solution. Lamborghini's looking ahead to cities mandating a minimum all-electric range up to 31 miles. One idea in play is a split hybrid layout, with an electric motor in charge of the front axle. That eliminates a prop shaft, and sharpens front axle response and torque vectoring. However, without a front transmission, a split system loses efficiency when approaching the triple-digit speeds integral to the brand. The other option would be a more traditional blended hybrid. 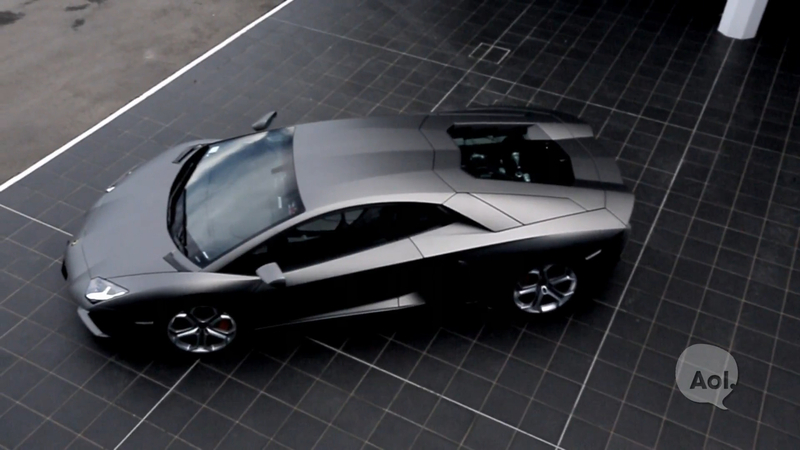 Lamborghini's said to have shown the LB48H to prospective buyers in June. We should see the real thing and its possibly glowing carbon fiber soon.